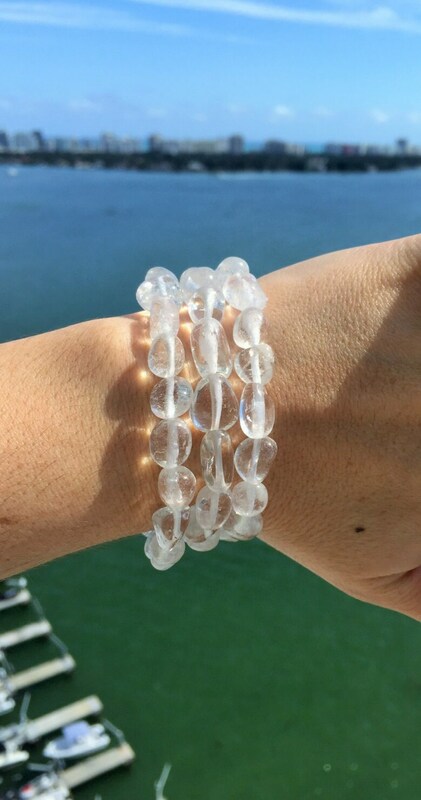 These clear quartz bracelets come with chunky stones that are tumbled smooth and sparkle in the light. Their shape is organic, rounded both in elongated and in chunky "boulder" shapes. Due to its elasticity, will fit all wrist sizes 6 - 8 inches. This listing is for 3 bracelets. If you would like more than five, simply choose your quantity from the menu.